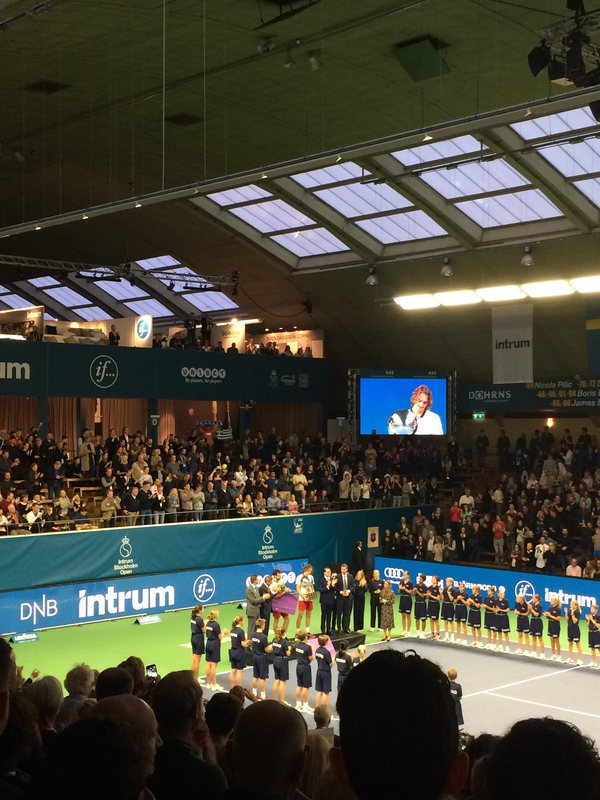 This year’s Intrum Stockholm Open came with a totally different vibe, one linked to its 50th anniversary (celebrated with the presence of Swedish legends Björn Borg, Stefan Edberg and Mats Wilander) but also one imposed by the presence of the young tennis players, NextGen, as they are called, Stefanos Tsitsipas and Denis Shapovalov. It also brought back some veterans of the game like John Isner, Jack Sock, Fernando Verdasco or the long forgotten (or not) Ernest Gulbis. I couldn’t hide my content of seeing the doubles players again, the likes of Marcus Daniell, home favourite Robert Lindstedt or last year’s finalist Aisam Qureshi. And as always I was more than happy to welcome Romanian tennis player Marius Copil. The tournament has two sides for me: one is played out on court, the other one is well hidden behind the curtains of the Players Lounge. I regard both of them with passion and each brings a different type of satisfaction. While most expect intriguing stories from behind the curtains, many are disappointed when they hear that the exciting things happen on the courts. That is where all the passion unfolds, both from the players and the audience too. In the Players Lounge there should be tranquility for the players, and above all there is professionalism and a lot of hard work. 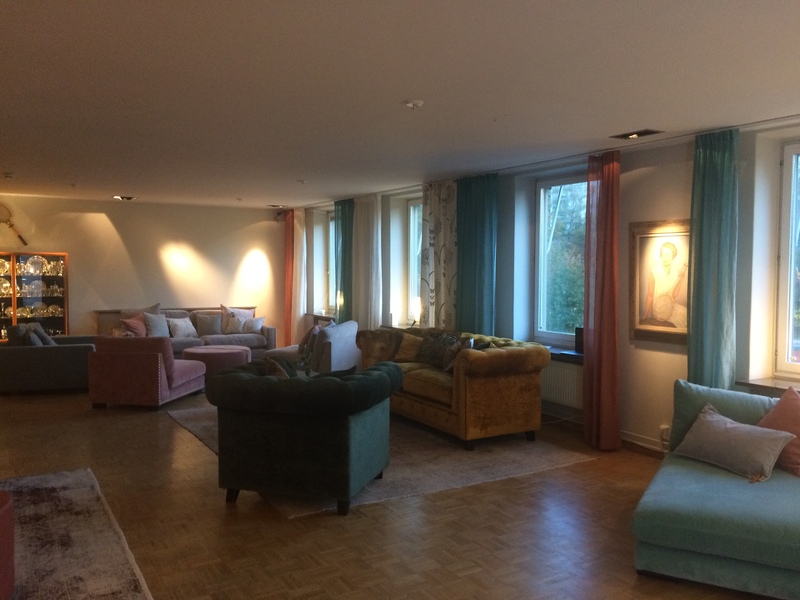 With some of the longest shifts, the people working in the lounge have to be client oriented, have to show diplomacy, initiative, creativity, have a smile on their face and work in between 8 and 16 hours every day. The job itself offers access to the behind-the-scenes lifestyle of a tennis tournament but that only translates into breakfast with a view of practices on centre court, the responsibility to evacuate players during a fire alarm, and the satisfaction of leaving things in order when the doors get locked well after midnight. It also involves lots of coffee, ginger shots, baking traditional Swedish cakes and pies and celebrating players’ birthdays, with baking the birthday cakes included. 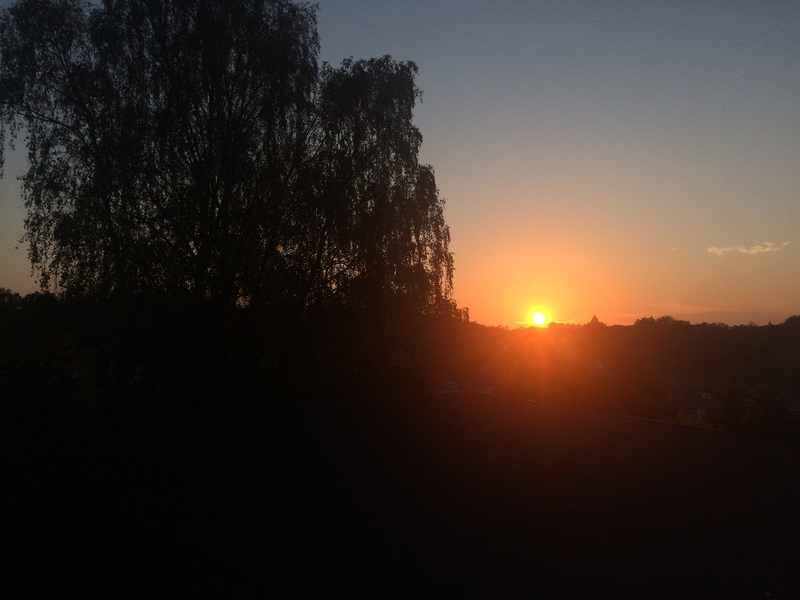 The cherry on top is the opportunity to work in a team for more than a week, and this year’s team brought together a group of very bright stars that I couldn’t be more than proud of, grateful and happy to have worked with, the perfect people to watch the sunset from the peacefulness of the tennis hall’s roof. For this edition, like never before, the doors closed behind the last player to leave the Royal Tennis Hall many times well after midnight. With the last matches of the evening starting at 18:30 or later, some days saw matches in play well after tomorrow had already started. 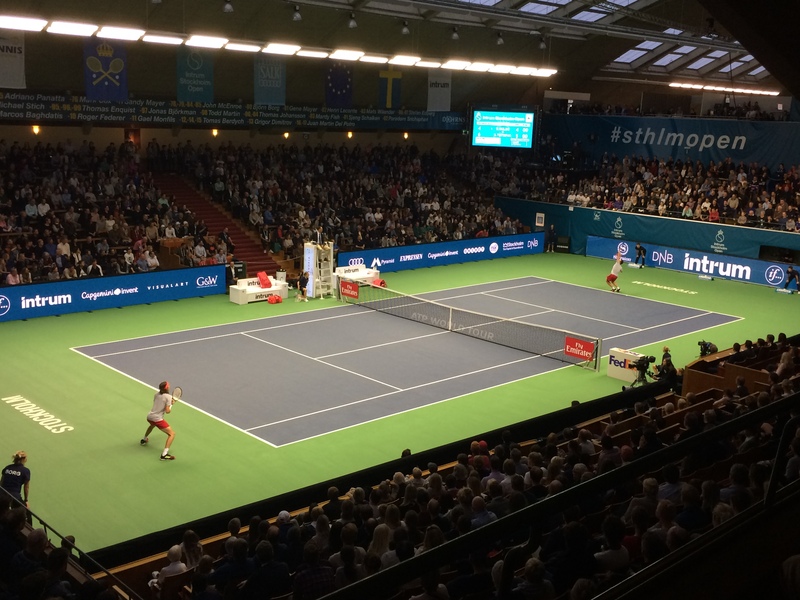 Denis Shapovalov and John Isner were the main characters of these long matches, alongside Peter Polanski, Bradley Klahn and Tennis Sandgren. While I couldn’t enjoy all matches in their entirety, some that I’ve seen were a delight. Can’t say that about John Isner’s matches. Actually, I was quite disappointed by them and by the American’s style this year. On the opposite end in singles I can place Jack Sock, Ernest Gulbis who impressed me to the fullest with his journey from qualities to the final, and of course, Stefanos Tsitsipas. 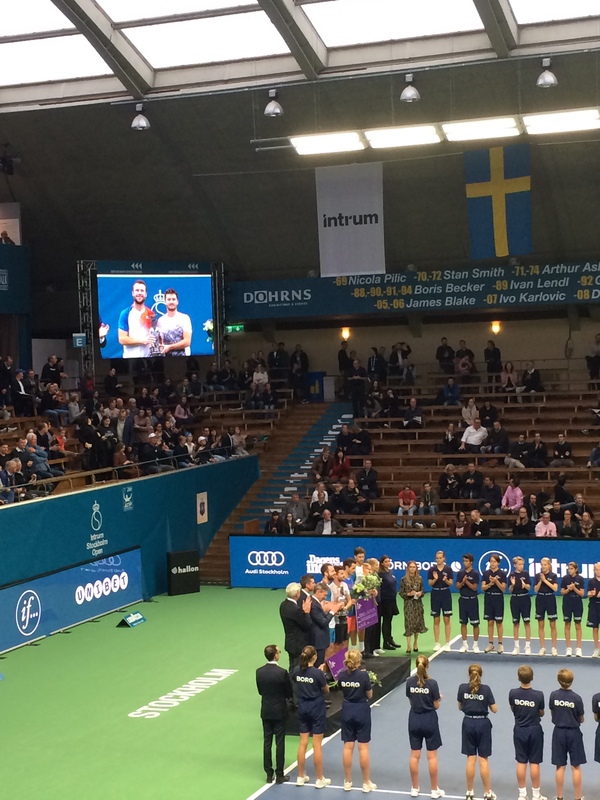 The best atmosphere with clapping, yelling and cheering was during the matches of the Ymer Brothers, both Elias and Mikael being present on the main draw. But all amazing things inevitably come to an end and what seemed to be the longest 10 days of the Autumn passed in the blink of an eye. The last weekend of the tournament brings relief but also sadness. During the last hours of the finals day one finds itself caught up in between the desire to go home and rest and the one to spend a few more minutes contemplating the week that’s been in the place where it all happened. Going back to the normal lifestyle is hard, especially since working for this tennis tournament is like working in a bubble of joy (for me at least) and when the normal lifestyle after the tournament is totally different from the one before, but that is another story to tell some other time. Game, set, match, championship: Stefanos Tsitsipas and Jonny O’Mara/Luke Bambridge. 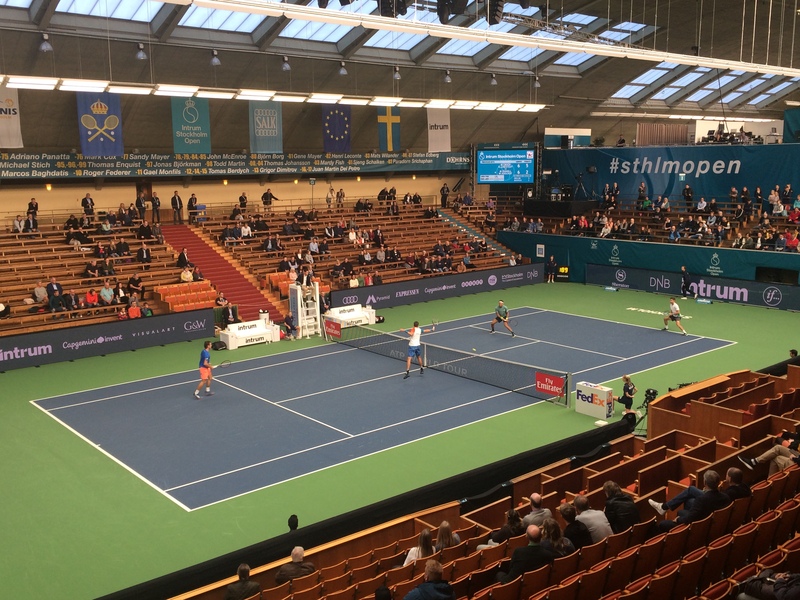 This entry was posted in English, Tennis and tagged Denis Shapovalov, Elias Ymer, Ernest Gulbis, Intrum Stockholm Open, John Isner, Jonny O'Mara, Luke Bambridge, Marius Copil, Mikael Ymer, Robert Lindstedt, Stefanos Tsitsipas. Bookmark the permalink.